LAS VEGAS, Jan. 7, 2019 – Any first responder will tell you that the first 72 hours following a natural disaster are the most crucial to saving lives. However, often times due to the nature of the disaster (forest fire, earthquake, hurricane, or flood), it can be difficult for search-and-rescue and humanitarian aid missions to reach and get immediate help to those in need. 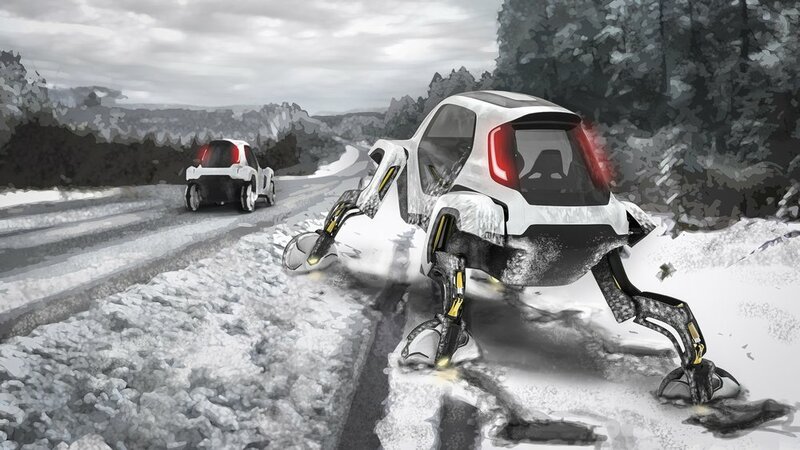 The need for efficient, rapid, resilient transportation for disaster assistance is what led Hyundai to develop the first-ever vehicle with moveable legs. 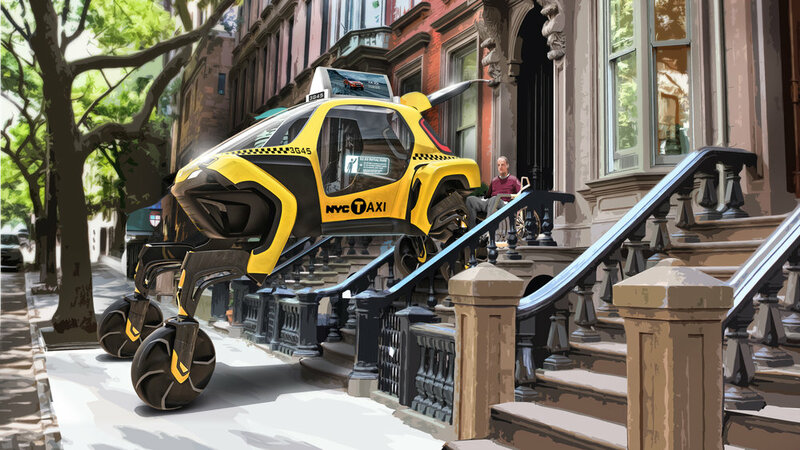 Elevate is the first Ultimate Mobility Vehicle (UMV), blending technology found in electric cars and robots, which allows it to traverse terrain beyond the limitations of even the most capable off-road vehicle. 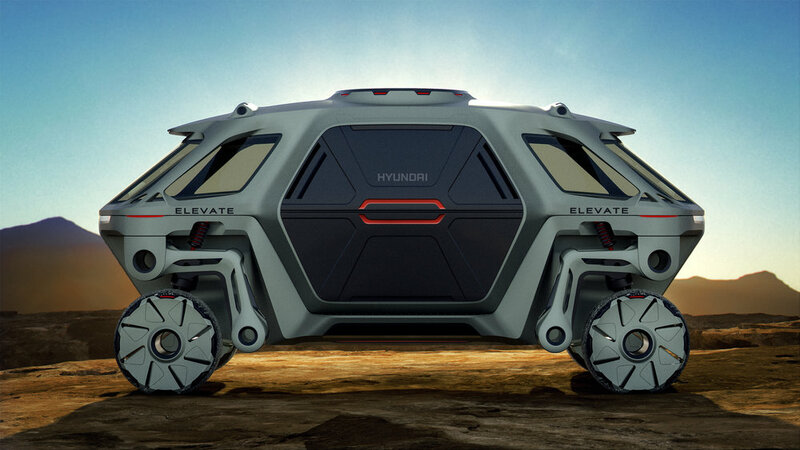 Watch the Hyundai Elevate Concept video here. The Elevate concept is based on a modular EV platform with the capability to switch out different bodies for specific situations. The robotic leg architecture has five degrees of freedom plus wheel hub propulsion motors and is enabled by the latest in electric actuator technology. This design is uniquely capable of both mammalian and reptilian walking gaits, allowing it to move in any direction. The legs also fold up into a stowed drive-mode, where power to the joints is cut, and the use of an integrated passive suspension system maximizes battery efficiency. This allows Elevate to drive at highway speeds just like any other vehicle. But no other can climb a five foot wall, step over a five foot gap, walk over diverse terrain, and achieve a 15 foot wide track width, all while keeping its body and passengers completely level. Further, the combination of wheeled motion with articulating legs provides a new paradigm of mobility by enabling faster walking speeds, unique dynamic driving postures and torsional control at the end of each leg. The Hyundai Elevate in drive mode.